Winstrol (Stanozolol) is one of the most used anabolic steroids. We discuss the uses of Winstrol cycling and stacking, maximising gains and limiting side effects. It must be first made explicitly clear that Winstrol should never be run solitarily on its own. 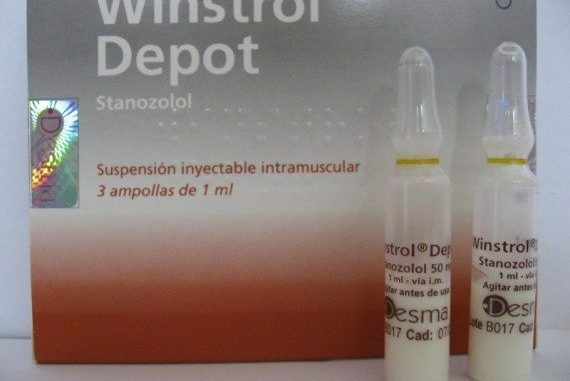 There exist very few anabolic steroids that hold the capability of being run on their own, and Winstrol is not one of them. It is important to make this clear due to the sheer amount of inexperienced (mostly young) potential users that seek to run Winstrol-only cycles, and most of the time it is the oral variant of Stanozolol to boot. Most anabolic steroids must be run with at least a TRT (Testosterone Replacement Therapy) dose of Testosterone, and Winstrol is no exception. A TRT dose refers to a dose of Testosterone weekly that is not considered a supraphysiological bodybuilding dose, but simply a dose of Testosterone that mimics as closely as possible the body’s endogenous production of Testosterone. Testosterone must absolutely be utilized with Winstrol in any Winstrol cycle. The use of Winstrol without Testosterone will likely result in deleterious effects in various areas of the body, as Winstrol will suppress natural endogenous Testosterone production. Without adequate Testosterone circulating in the body, many different essential functions governed by Testosterone will become defunct, and harsh horrible side effects can result. Therefore, Testosterone must be utilized in order to maintain this normal healthy function. Winstrol possesses properties that, as mentioned earlier, provides a synergy with other compounds used and in fact enhances the ability of any other compounds stacked with it (remember the SHBG suppressive properties of Winstrol). Thus, it makes more sense to actually stack Winstrol with other compounds in a Winstrol cycle, and with the understanding of its synergistic effects, running Stanozolol solitarily on its own comes off as more of a wasteful idea. This beginner cycle is an example of a lean mass Winstrol cycle, and presents Testosterone at bodybuilding doses so as to garner a solid mass-adding effect. The Winstrol is run at a dose necessary for slightly more lean mass addition (provided the user’s nutrition is adjusted for such goals). The SHBG-reducing effect of Winstrol should potentiate the strength and activity of Testosterone as well. This cycle could also be used as a pre-contest and cutting cycle as well, though a reduction of the Testosterone dose may be required in such a cycle for concern over bloating and water retention (or the use of an AI can be done in place of a Testosterone dose reduction). This cycle presents a higher general range of Winstrol dosing, but no higher than 400mg weekly (with the exception of oral Winstrol dosing resulting in a 420mg weekly dose). At the same time, Testosterone is relegated to a support role of providing a TRT dose of Testosterone while Winny is treated as the primary anabolic. As a result, this cycle should provide the user with very hard lean mass gains alongside minimal to zero water and fat retention. The use of Testosterone at a TRT dose is somewhat more of an intermediate anabolic steroid user practice, but can be easily utilized by beginners as well – a proper understanding, however, must be had by the user before engaging in this practice. Once again, this cycle is ideal for both lean mass gains as well as pre-contest and/or cutting phases. It is perhaps the preferred choice for cutting and pre-contest phases due to the lower Testosterone dose, which provides less Estrogenic activity and therefore less of a bloating and ‘soft’ look to the physique. This Winstrol cycle is essentially an advanced cycle, geared towards pre-contest and/or cutting, but may also easily be used as a lean mass cycle. Note that although this is an advanced cycle, the Winstrol dose remains at the 400mg weekly mark (remember that excessive or high doses are not the definition of an advanced user). The idea with such a cycle is that of zero water retention and zero fat gain, and this is why Anavar is chosen as the oral anabolic steroid (it will not convert to Estrogen and has no Estrogenic effects in the body). 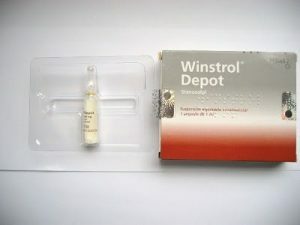 Winstrol is limited strictly to the injectable format, for the purposes of liver health. Running the oral variant of Winny alongside another oral in the same cycle is never a recommended practice due to the increased strain on the liver by at least double. It is also important to remember that the injectable preparation of Winstrol is also still hepatotoxic, so a cycle such as this must be approached with great care and caution. Proven liver maintenance and health compounds must be used (such as TUDCA/UDCA) on this cycle for this reason, and if possible, regular bloodwork to monitor liver function. This is why this cycle is for the advanced user only. In conclusion, however, this cycle is an excellent adjunct to a fat loss cutting diet, or a solid clean lean mass diet for the addition of maximal fat free mass and zero water retention. Lastly, an important note on the use of Testosterone at TRT doses: it is in Winstrol’s nature that it holds no Estrogenic or aromatase activity, and therefore absolutely no risk of gynecomastia, bloating, fat retention, skyrocketing blood pressure, and so on and so forth. 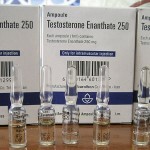 Therefore, for those who wish to utilize Testosterone at doses higher than TRT, it helps to ask oneself the question: “why decide to run high aromatizable doses of Testosterone stacked with an anabolic steroid which naturally avoids said side effects?” It does not make sense unless Testosterone is minimized to TRT dosages, and the dose of the primary compound is increased, which in this case is Winstrol.